Welcome to Bedtalks, the new podcast about intimacy and relationships. In this introductory episode, you will meet relationship coach, Elizabeth Overstreet along with her cohost and significant other, K aka K Soul-o as they explain the inspiration behind the Bedtalks podcast. The bed is where most couples have their deepest conversations. Whether before falling asleep or after waking up, the bed is a laid back place where couples feel safe to open up and be vulnerable. The bed is a quiet, private sanctuary where two people can talk without the noise and distractions of the busy day. It’s also a great place for difficult discussions since it’s unlikely anyone will start yelling while cuddled up in a relaxed state. 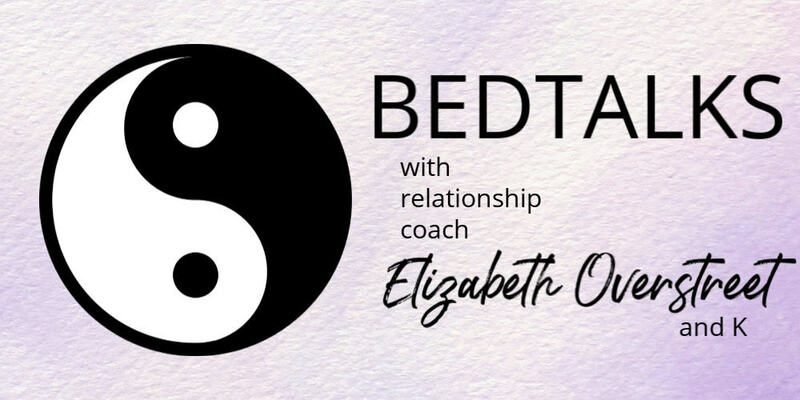 Tune in as Elizabeth and K share their Bedtalks to show you how to navigate some of the most common issues that come up in relationships and make sure you to share your feedback and comments on topics you are interested in hearing.